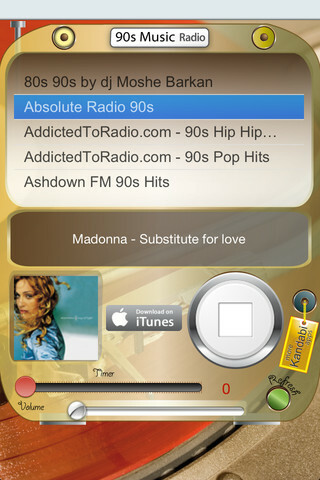 Developer Quote: "Listen a selective list of 90's Music from all over the world with a very easy interface using 90s Music Radio." - Timer: You can set up a timer to stop the music. COOL CONCLUSION: "Enjoy music from the 90's using the specialized 90s Music Radio universal app to add a little variety to your listening pleasure!"